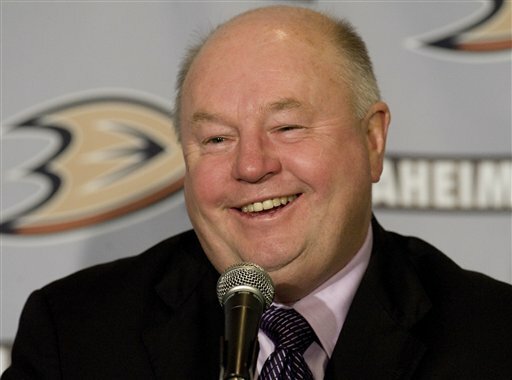 The Caps unloaded Bruce Boudreau on Ryan’s Ducks and looked what happened – they streaked and the Caps continued sucking. March Madness is making a lot of us crazy and every point counts, especially for the Ducks’ playoff hopes as they square off against the Avs tonight in Colorado. And – it’s the 1,000th game for Saku Koivu!!! I know it may have appeared that I have been hiding from this year’s NHL season due to the play of my beloved Ducks – but that isn’t entirely the case. 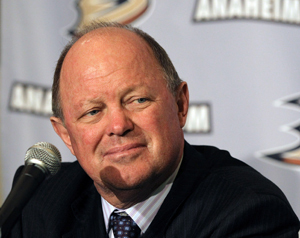 It is almost as though when the Ducks replaced Randy Caryle, whom I respected greatly as a coach (Andrew I am wishing him the best of luck for your sake) my life turned into a whirlwind. Between lots of extra hours of work (love when people quit) and learning first hand during Movember about the importance of check-ups related to skin cancer (everything is fine just a few scars on some preventative removal) the time able to watch live hockey, and then write, diminished. I also missed about a month and a half of playing time myself, due to doctor orders. And unlike NHL players, I pay to play hockey! Right around the time I came back to playing was around when the Ducks season began to turn around. Jonas Hiller finally began playing like the All-Star goalie he was a year ago shaking off the vertigo symptoms. Not sure if anyone else notices this but I seriously thought that the dizziness must come back when people are behind the net because he always would be spun around and unable to follow the puck. New bench boss Bruce Boudreau’s systems and optimism began finally to take hold and the team started playing with confidence. (Either that or it was all the F bombs). As a Ducks fan, you started to get caught up in their magical run because of last season’s second half propelled the Ducks into 4th place at season’s end. This year, however, they were starting with a 17 point deficit on January 1st. (20 points at one point). With a January record of 9-2-1, they started to make up some ground. As they trudged through a grueling 8 game road trip that spanned from Minnesota down to Florida in February, they finally were within 5 points of the 8th spot. While speculation all season at what GM Bob Murray would do at the trade deadline – and if any of our big names would be on the move – the team stood pat with their roster. It was hard not to start thinking what could be if the Ducks continued their hot play (at this point tied with St. Louis for most points since January 1st). Things had changed now, as opposed to being outshot and outplayed for stretches at a time, the Ducks had been taking control in games. Suddenly this was a team you were fearful of having a 1st round match-up with in the playoffs. I didn’t want to jinx it, I just wanted it to keep rolling. And it was almost like the deadline passed and a collective sigh was let out in the locker room (not that type of sigh!). They lost to the Avalanche in Denver on deadline day and looked tired. They then outplayed Buffalo at home only to have Ryan Miller stand on his head and lost a frustrating 2-0 game. The problem is the Ducks have been in a position because of their horrible start that they can’t afford to go two games without any points. They have too many teams in front of them and are running out of time on this season even with San Jose and Phoenix giving them every opportunity to hang around in the playoff conversation. 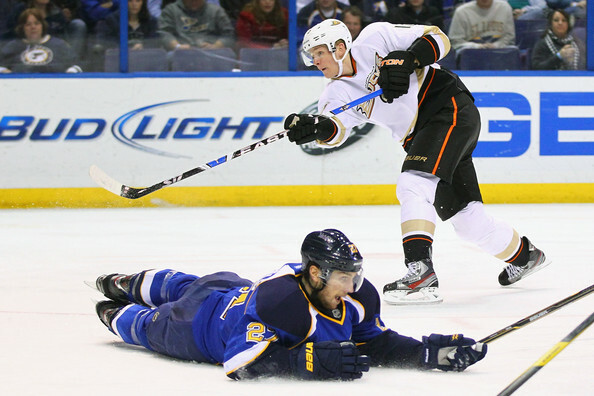 Back on the road again for 3 games, the Ducks lost a close game to St. Louis Thursday night. They took a 1-0 lead but then failed to keep the foot on the gas pedal and wound up losing 3-1. Their powerplay has not been able to score – at only 8% over the past 6 games. With the top-level skill of Perry, Selanne, Getzlaf, Visnovsky, Ryan, Fowler and Koivu, they have to convert on those chances. Before heading out on the road the team had extra practice time to try to work through their kinks. Boudreau made the adjustment of moving Visnovsky back to the top unit. Lubi has been having a rough year. He missed a significant amount of playing time early in the year due to hurt fingers. After last year putting up 68 points, this year he has only 22 points in 58 games. 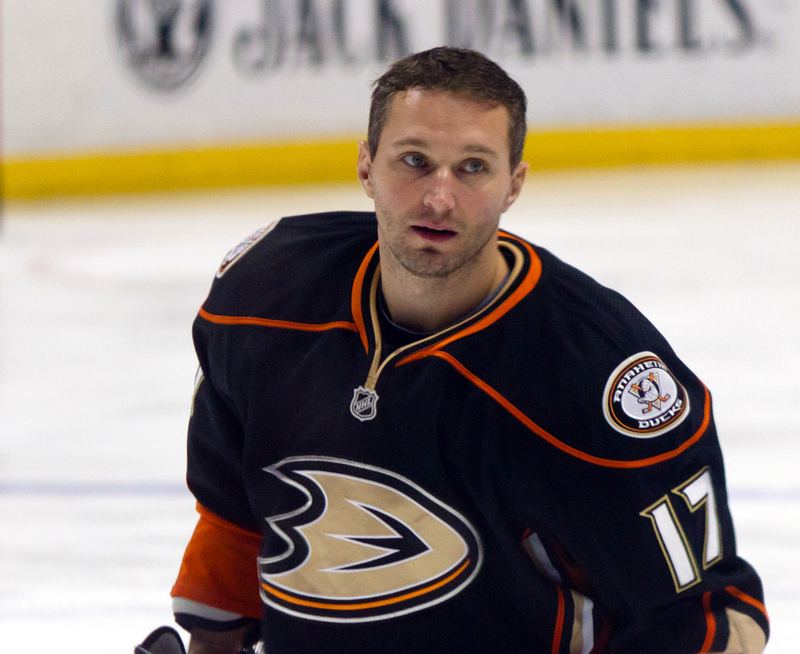 His lack of production on the powerplay has been what’s hurt most and the Ducks have not found the answer to finding it elsewhere. Saturday in Dallas the Ducks look to hang around for another week. Unfortunately with some horrible officiating and a mediocre effort, they fell 2-0. Again failing to put up any goals for the 2nd time in their last six. Midway through the 2nd period on a questionable hit by Robidas, Corey Perry went shoulder first into the end boards. Being the competitor and tough man that he is – he stayed on the bench – before eventually retreating to the locker room. He did take a couple of shifts in the 3rd- but he will have to be re-evaluated. While mathematically this team isn’t eliminated – last night’s loss felt like the knockout blow. Monday night at Colorado will be key. Perusing my twitter feed after the last two games – it was gut wrenching losses that pulled at the strings of the team’s faithful. But like the team, the fans won’t quit- will still show up and still pour their heart into the remaining 13 games. And like all season whether it’s live or on DVR I’ll be with them too. This entry was posted in Anaheim Ducks and tagged Anaheim Ducks, Bruce Boudreau, Corey Perry, Lubomir Visnovsky, MVPerry, Teemu Selanne, We were saying Boo-dreau. Bookmark the permalink. Ok apologies for that, but I do think the author of this post is cute. I hate that Višňovský hasn’t had a great year, and I have to wonder if he’s even fully healed. Also, I still think he’s cute. And I’m not just saying that ’cause I’m a Slo.